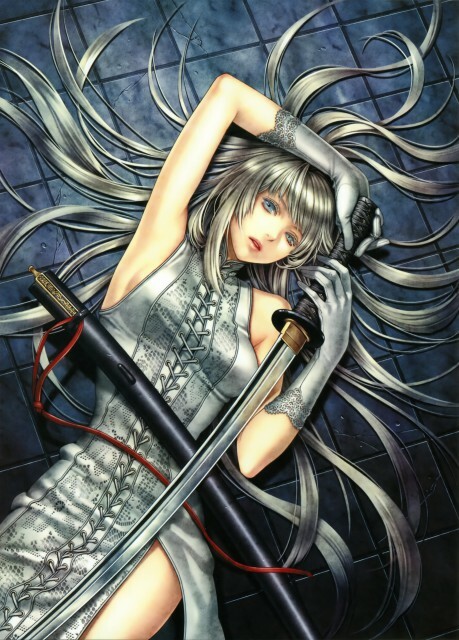 She is hot, and so is that katana! Awesome looking sword. Oh wow. I love this! Such amazing art! Shiny hair, awesome lighting, wow...Thanks for sharing! This is an awesome work of art! Thanks for scanning!